Hope quotes encouraged me when I was down. 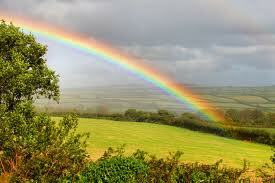 We all go through times when we're in the dumps and nothing seems to be going right. Be encouraged, look ahead and see the bigger better picture. 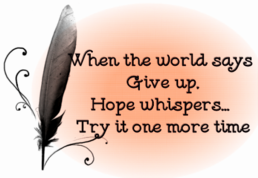 When the world says, "Give up,"Hope whispers, "Try it one more time." Hope is but the dream of those who wake. It is the first purpose of hope to make hopelessness bearable. It's all one thing - both tend into one scope -To live upon Tobacco and on Hope,The one's but smoke, the other is but wind. ~Sir Robert Aytoun of Kincaldie, "Sonnet on Tobacco"